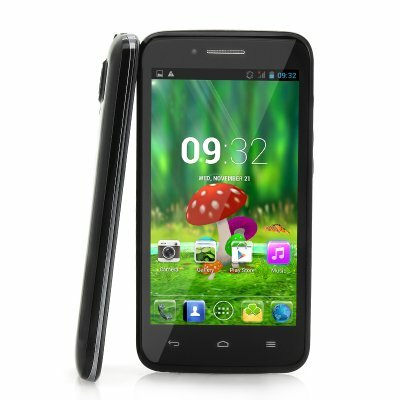 Successfully Added 3G Android 4.2 Mobile Phone "UTime i15" - 4.5 Inch Touch Screen, 854x480 Resolution, MT6572 Dual Core 1.3GHz CPU (Black) to your Shopping Cart. 4.5 Inch Screen Dual Core Mobile Phone features a modern Android 4.2 OS, a stunning 854x480 screen resolution and a powerful MT6572 1.3GHz CPU is the phone that is “just for you”. “Just for you” is the phrase that the UTime company likes to use when describing and promoting their products and on a closer inspection you can see why as this new arrival at Chinavasion known as the “UTime i15” is an incredible Android mobile phone with 3G capabilities. Owning to the fact it has a dual SIM slots, users can insert two SIM cards to manage all contacts and calls through one device making it ideal for private and work life. Plus the “UTime i15” is a 3G phone meaning that whether ever you are and at whatever time you can make a call or surf the internet as it supports WCDMA 900/2100MHz bandwidths. Navigate everything on your phone by using the pre-installed Android 4.2, which allows for a faster and more responsive operating system that has plenty of features for the user to personalize. Android OS is the most commonly used and most popular systems used today on mobile devices because not only does it have a user-friendly interface but also access to the online Google Play store for choosing and installing from the thousands of apps that are stored there. Being a smartphone, the “UTime i15” has manage abilities but to access these abilities you need to be able to find them and control them that is why this 4.5 inch mobile phone has a 5 point capacitive touch screen with a display resolution of 854x480 that can detect your every touch plus showing everything clearly. 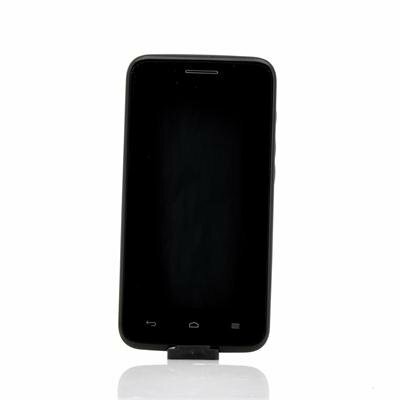 A clever MT6572 dual core 1.3GHz CPU is housed within the confinements of the “UTime i15” Android 4.2 phone thus providing the power that is required to run all the applications and the general operation of this phone without any errors, lag or crashes. Next time you consider buying a conveniently sized Android phone with a wealthy list of specifications at a munificent wholesale price, think about the “UTime i15”. The “UTime i15” Android Phone is now in stock and ready for shipping within one working day with a mega 12 month warranty. Brought to you by the leader in wholesale electronics and Android Phones, Chinavasion. Great price for spec on phone. Works well. Bought for my wife. I am a samsung and iphone user myself but impressed by this bit of kit. Very fast delivery to ireland with dhl. Approx. 2-3 days. Duty to be paid on purchases.